Through its U.S. partner, TSI Distributing, Palmer Audio has announced a new tube DI box for guitar, the PDI-CTC (short for Palmer Direct Injection – Classic Tube Circuit). The Palmer PDI-CTC is designed to bring out the subtle tonal characteristics of a tube by creating the shortest possible signal path from input to output, the company says. For this reason, no volume control is included. The PDI-CTC Tube DI incorporates two vacuum tubes, an ECC83/12AX7 and an ECC82/12AU7, for a true tube sound. Four musically voiced wideband filters (low, lo-mid, hi-mid and high frequencies) offer a wide range of tone control, utilizing a bell-shaped filter characteristic to prevent the boosting of unwanted sub- and supersonic frequencies. Each filter band has a 3-position toggle switch (Flat, +4 and +8 dB) on the front panel to ensure precise reproduction of the desired setting from gig to gig. 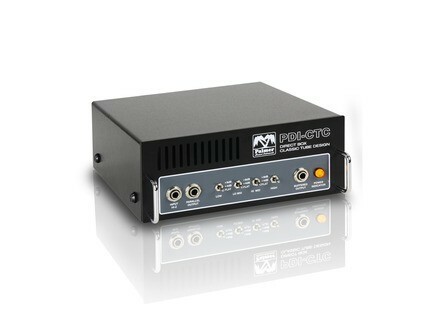 The Palmer PDI-CTC offers a dynamic range such that no limiting occurs below signal levels of +30 dBu at the line output, according to Palmer Audio. The Hi-Z guitar input may be accessed via either mic- or line-level balanced XLR outputs on the back panel, each with a dedicated ground lift. In addition, Palmer has supplied both parallel and buffered 1/4"inch unbalanced outputs on the front panel. 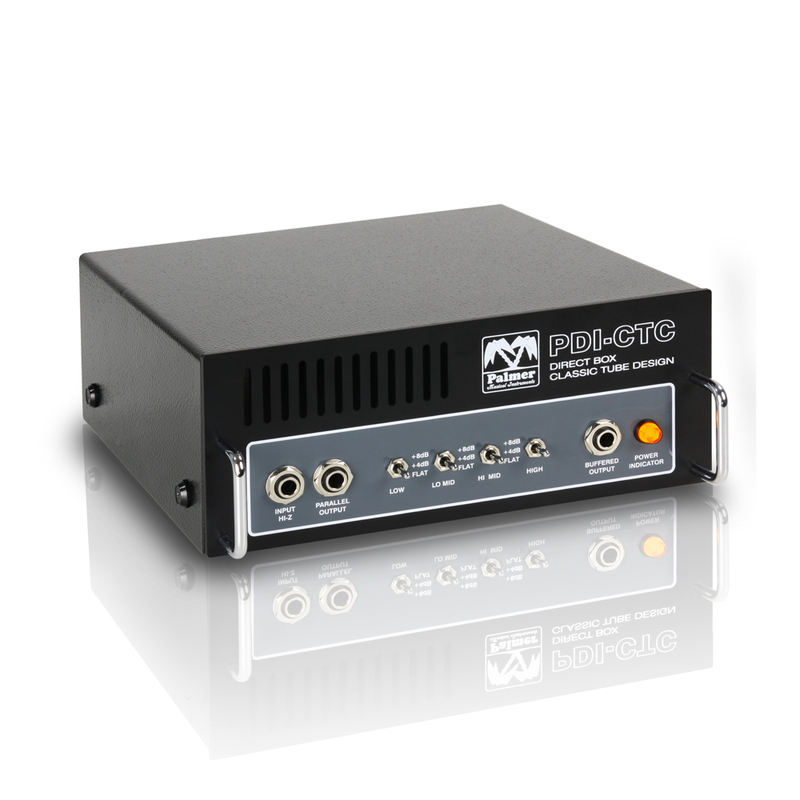 The PDI-CTC is mains-powered, generating the required tube voltages from its integrated power supply. For more information, visit tsidistributing.com/index.html. [NAMM] Behringer Xenyx 1204USB Behringer presented seven new mixers at the NAMM show, including the Xenyx 1024USB. [NAMM] TASCAM IF-AV/DM-IF-CB/DM Cards Tascam has announced the IF-AV/DM and IF-CB/DM interface cards for the DM-3200 and DM-4800 digital consoles, allowing connection to Aviom and CobraNet systems over CAT-5 cable.